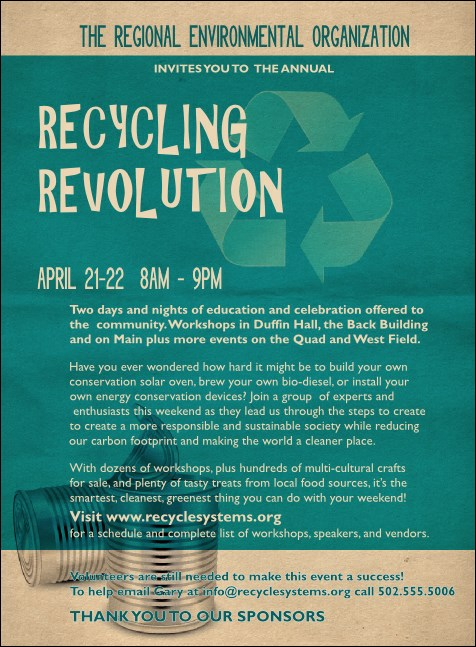 Call on others with an affinity for re-purposing materials with this Recycling Symbol Invitation. Twenty-two spaces are open to communicate the finer points of your event. Reduce apathy and recover attention for your cause with the green and tan Earth tones of this appeal. Request attendance to all your events with the right invitation from TicketPrinting.com.